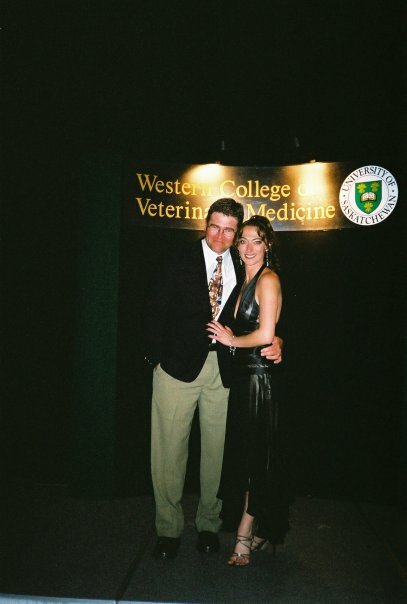 2015… it will be 10 years since we graduated veterinary school from the Western College of Veterinary Medicine in 2005. 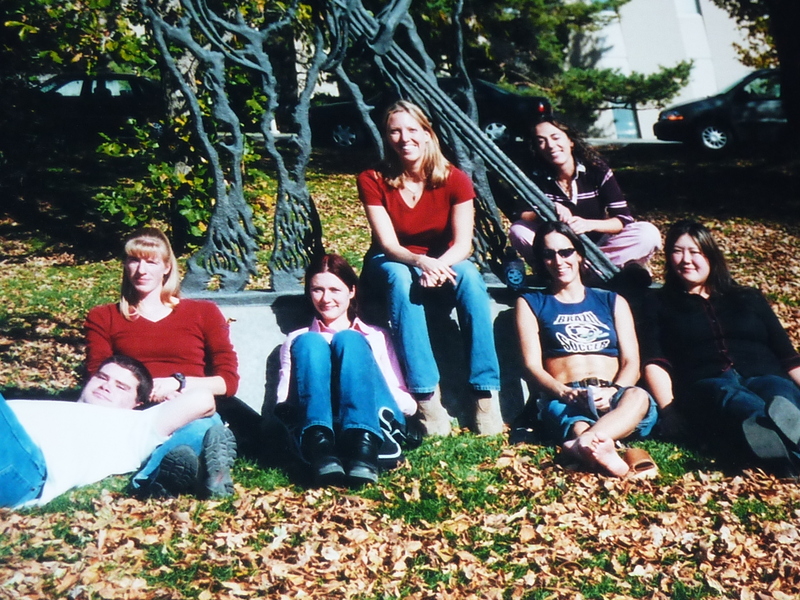 As I am helping plan our 10 year reunion for June, I can’t help but flash back to the 4 years we all spent together in Saskatoon, where the bitter winds in winter freeze your eyeballs and everyone gets a funky peri-oral dermatitis from the dry cold air. I’m pretty stoked to see everyone again. 72 of us spent 4 years together- learning, studying, observing, practicing, drinking, preparing, panicking, not eating well, cramming, operating, palpating and drinking at the Sutherland. You can not help but become bonded with one another. 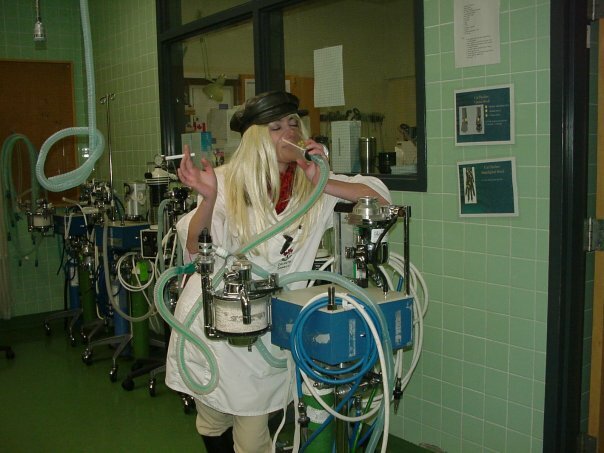 Veterinary school is grueling. Everything surrounding it is. 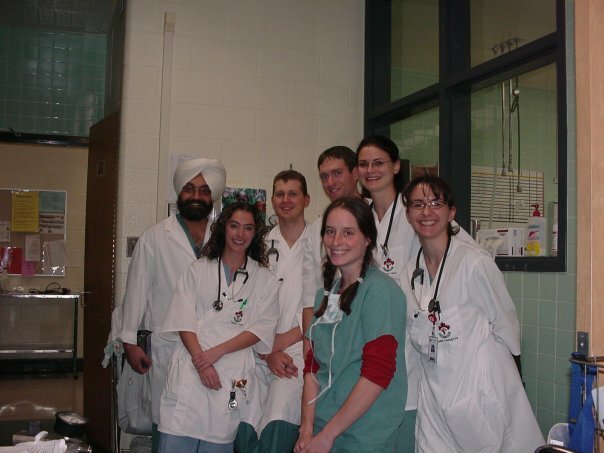 We only had 4 vet schools in Canada at the time and the competition to get in was fierce. And based on what province we came from. So by the time you sit down for the first lecture on your first day in the first semester of your first year, you’re already whupped. And you’re a teensy bit worried that your name badge with ‘Dr. Fyfe’ won’t be down on that table in front because you didn’t actually get into vet school and its all been a dream. But it is and you really are going to be a veterinarian! Until your first Anatomy exam marks come back. And the Histopathology profs have to sit your class down to tell you you’d all better pull your grades up or nobody would be making 2nd year. My class wasn’t known for its outstanding academic brilliance but we shone brightly as fun, co-operative, tight-knit, friendly people. Which is why I’m so happy to help put our reunion (and a golf tournament!) together. It will be wonderful to see so many of my classmates again. 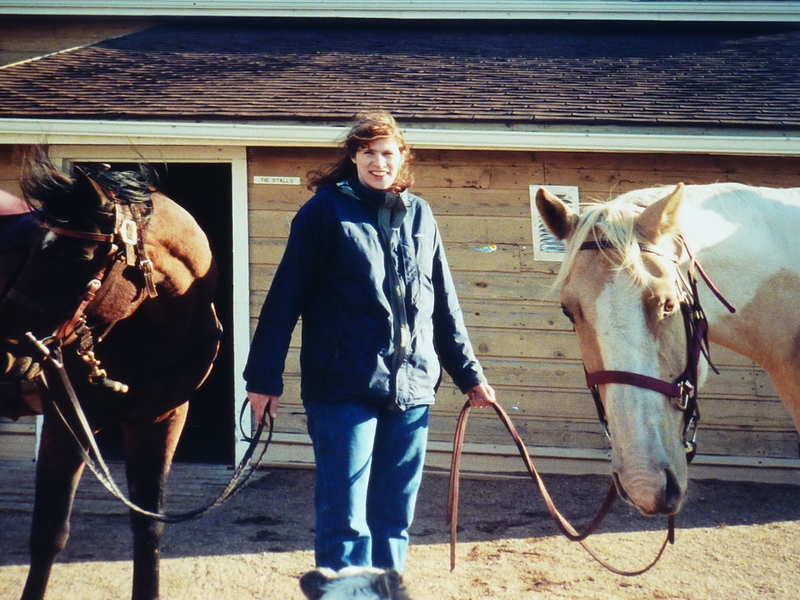 Like my friend, Teresa who kept her horse, Max at the stable with my horse, Blaze. Where we would go after classes or on weekends and solve the world’s problems on the backs of our geldings. That same friend watched me get busted by our anatomy prof several times… once pretending to read the instructions for something with the paper upside-down in my hands… another time moon-walking through blood and ‘stuff’ on the anatomy lab floor… and yet another as I leapt up from the 5-headed microscope and broke into some sort of crazed Happy Dance because I got something correct. 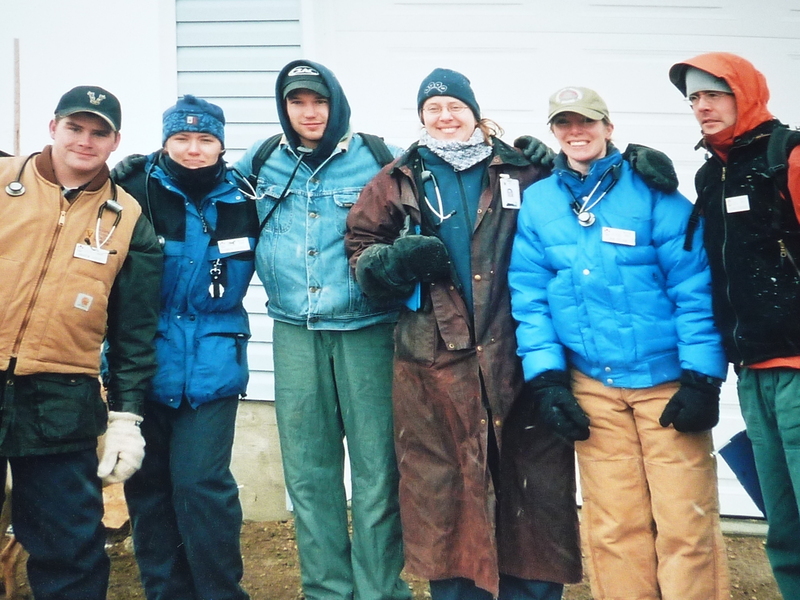 Friends who gathered together one freezing cold weekend to learn and practice being equine Endurance Ride veterinarians. It wasn’t mandatory. It was just for those of us who knew we would work endurance rides. Like the one that very cold weekend that was mostly ridden by our professors. No pressure there. 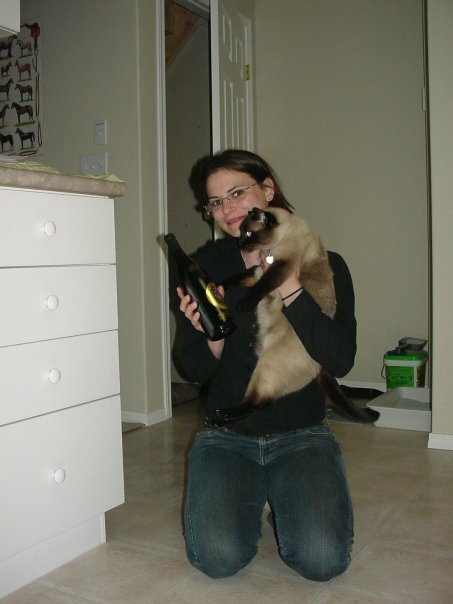 My friend, Danielle who loves Sport, my Siamese cat as much as I do. Who would join me for fancy schmancy suppers at hoity toity restaurants where we would wear our dresses and makeup and fancy heals, even if that’s how I had to help push her car out of the snow one night. Red wine and Siamese cats. I knew Fritzie and I were of the same soul. The same one who joined me for 2 Lobsterfests at the local zoo and who house/cat-sat for me when I would go home to Bismarck. The friend who break-danced during our infamous Round-Up skit that we hosted with Pinel and Garcia and did whatever we suggested during our photo-op with Justin. 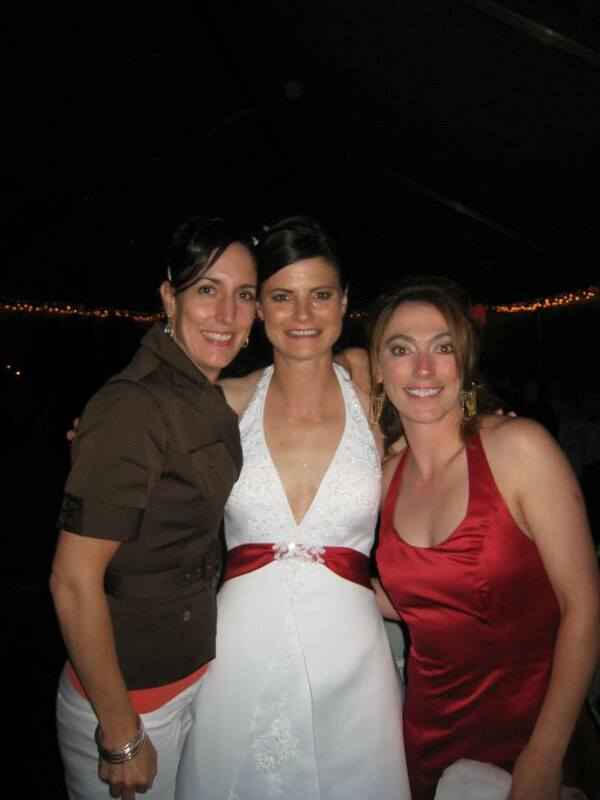 The same friend who asked me to be one of her bridesmaids after we graduated. 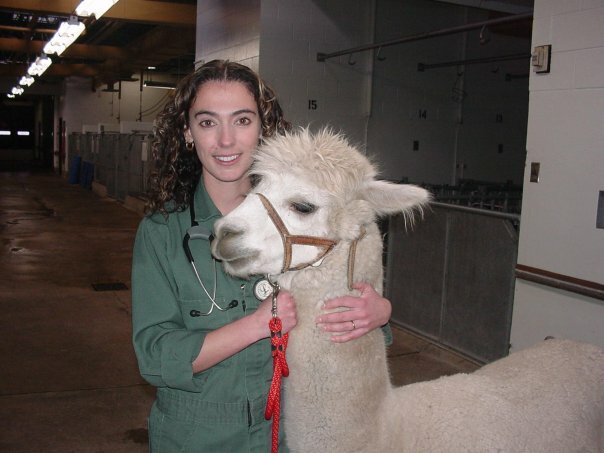 Where her parents thanked me for helping their daughter relax and enjoy veterinary school a little more for what it was and not living so much for the exams and tests. 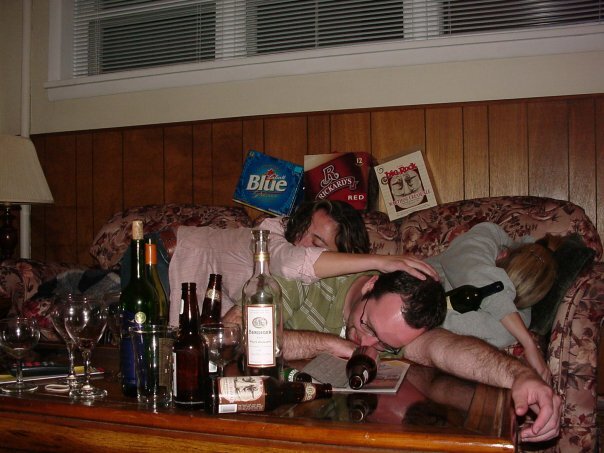 Friends who agreed to write a newsletter with me. Times of our Lives’ editorial team… at my place for a beer & wing review. Pinel, Kubik, Sport, me and Nate. We had just had some of the worst ‘delivery’ wings of our lives and were trying not to die here. 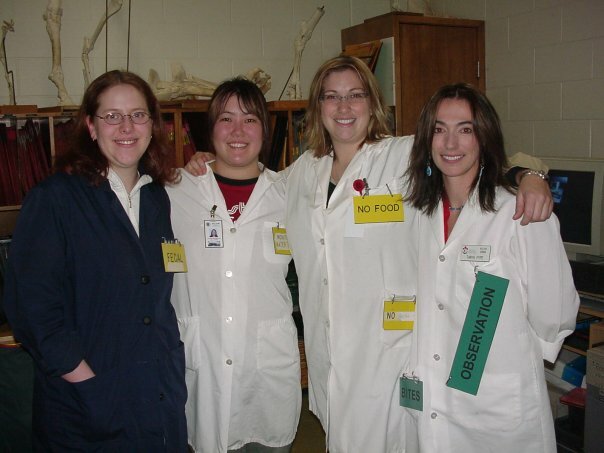 The Times of our Lives got going in our 2nd year, when I appreciated that getting into veterinary school was the hardest part of all. I knew I wasn’t going to be the ‘gold medal’ academic of our class and that I wasn’t going to go into research. I didn’t intend to do an internship or residency. I just wanted to be a good vet. But I also wanted to enjoy my time there and the people I was with. I am one of the older ‘kids’ in my class and was married with step kids. I had already had a career so my perspective was a bit different. 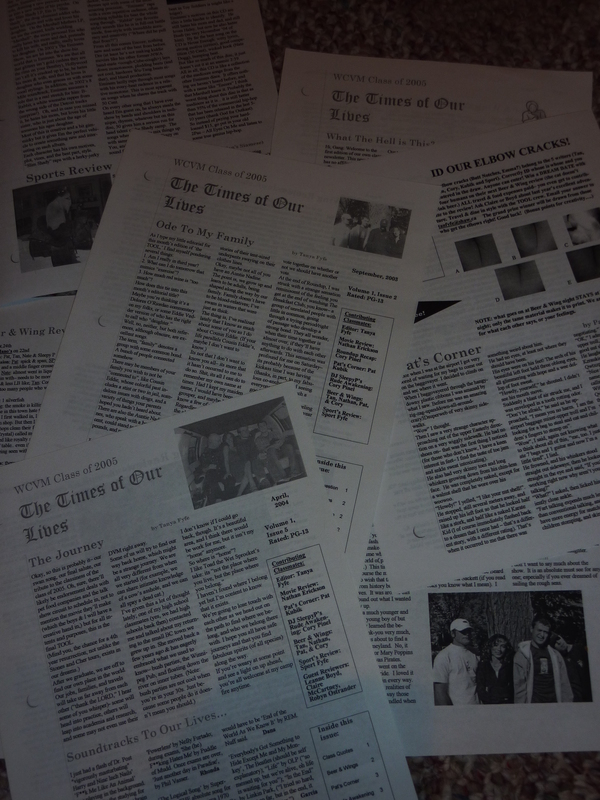 So we wrote a newspaper. Quite a few of them, in fact! The TOOL became a cult classic that residents and professors would ask for whenever we deemed it time to get one put together. We had Pinel’s musical selections, Nate’s movie or rotation selections and Pat’s… well… I’m not sure what to call Pat’s column but it was pretty damned funny and what most people turned to first. Sport wrote his Sport’s column and I had my editorial. Looking back, it was a sort of pre-blog because my writing style is much the same. We did beer & wing reviews in each paper, scouring Saskatoon for seedy dives or hidden gems where I’d have a silly questionnaire for ‘the boys’ to fill out. 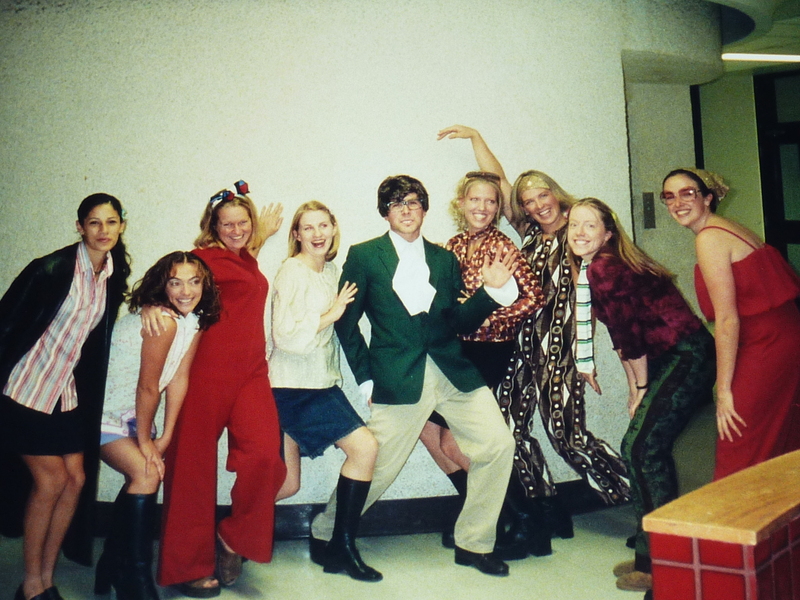 And we had contests in 3rd and 4th year- you had to identify our body parts and you’d get a dream date with us! 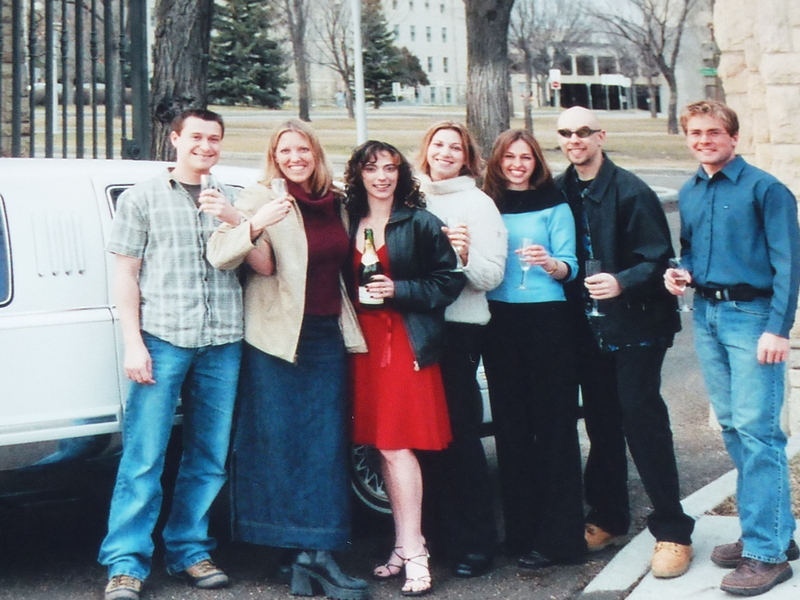 The first TOOL Dream Date- Kubik, Boyd, me, Claire, Rockin’ Robyn, Pinel and Nate… and our limo! 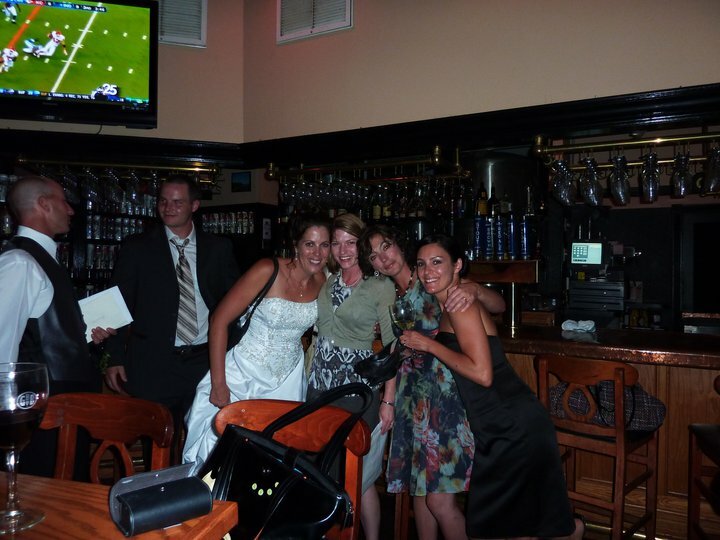 The limos toured us around the city and then we’d do another beer & wing review, all classed and prettied-up. What goes on at beer & wing night STAYS at beer & wing night! Somehow we managed to fit a contest and Dream Date into our hectic 4th year and even one of the residents came along. 2nd TOOL Dream Date! Kubik, Nate, me, Fritzie, Meg, Colin, Dr.Mitch and Pinel and another limo! 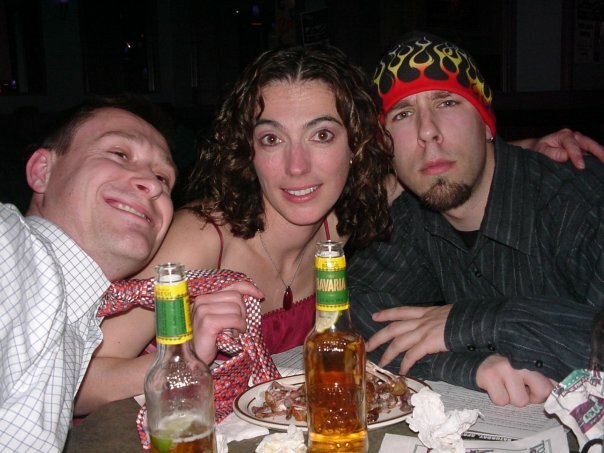 More beer, more wings, and more memories. I had friends who enabled my creative side by “helping” me with projects. Little things I did to keep everyone smiling throughout our stressful days. Like Celeste Shadow, who only showed up in 4th year, but she was a blast. She was naughty, but even the profs got a kick out of Celeste! And the friends who helped do ‘skits’ for whatever function was coming up. Our class had some fantastic skits over the years. 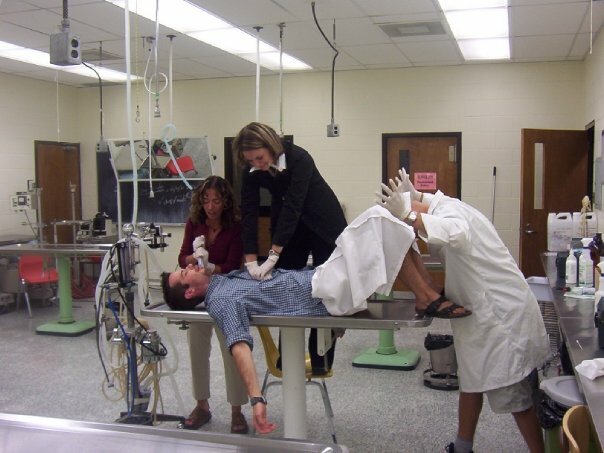 Don’t get me wrong- veterinary school is tough. 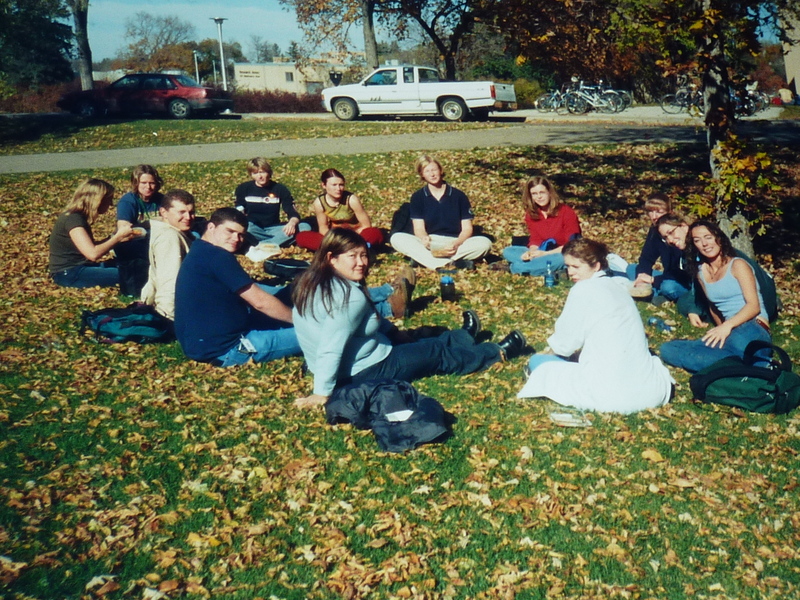 There were challenging times of studying and not sleeping and missing my home and family in Bismarck and trying to make the campus rec hockey game and cars-on-fire and board exams and oral exams and uptight residents with inferiority complexes. 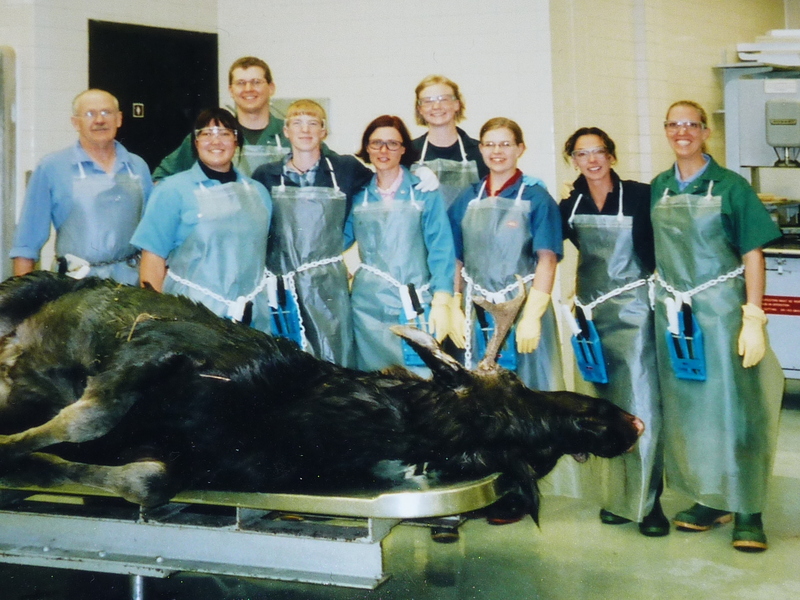 Pathology dream team where we actually played a part in CSI-ing the real cause of death in this moose (he had been shot!) Starring Jocelyn, Travis, Sandy, Shannon Budi, Christine, Sarah, me and Leanne! And I can’t remember our prof’s name… Haigh? Because 71 of my closest friends were enduring it as well. 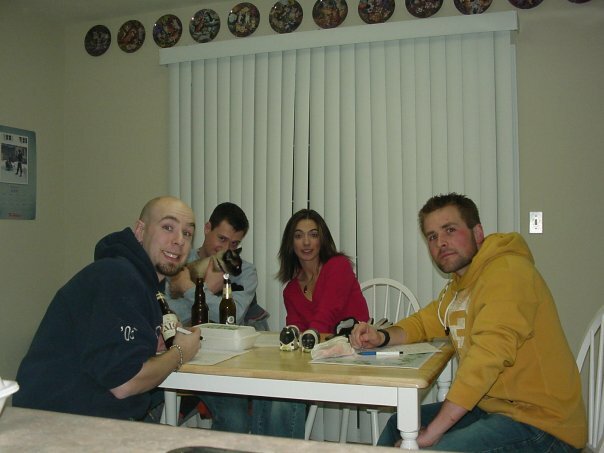 Many of us have stayed close during these past 10 years. 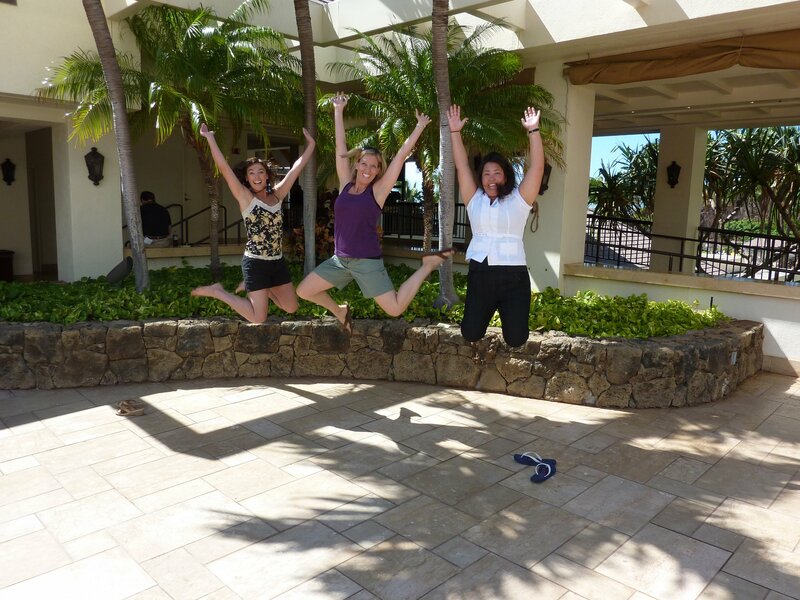 I got to hang out with Leanne and Jocelyn on Maui at a conference in 2010. Canadian veterinarians take over Maui! 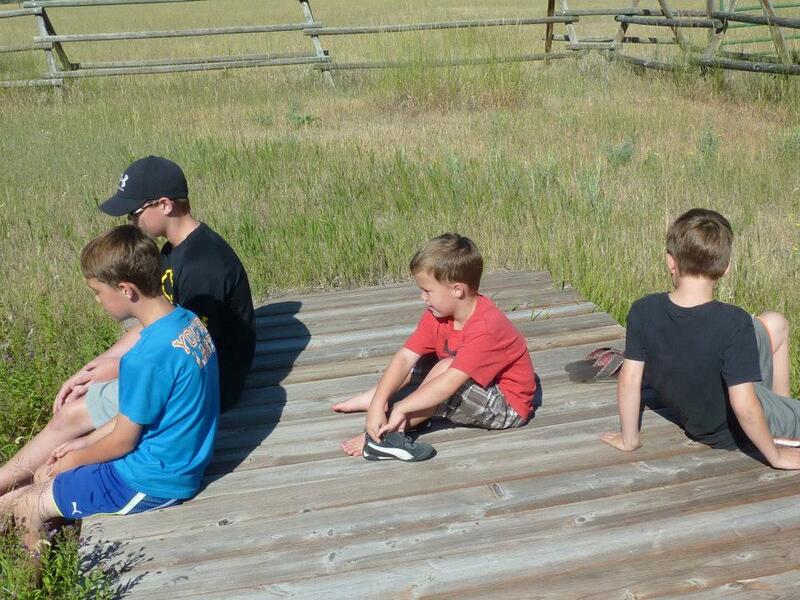 And Ken and Nat bring their boys to our ranch in Seeley Lake once a year for visiting or hockey tournaments. And babies have been born and couples married and clinics started and people have moved and Casey and Harry are still kicking and clinics have closed and some of us have travelled and some aren’t working as vets and we are busy trying to decide if we want our reunion banquet on the Friday or the Saturday. I can’t wait to see my classmates & colleagues again. Pinel and I hosted our graduation ceremony back in 2005. I remember saying something like how honored I was to call everyone there my colleague. But I teared-up when I said it was more special that I could call them all my friends. 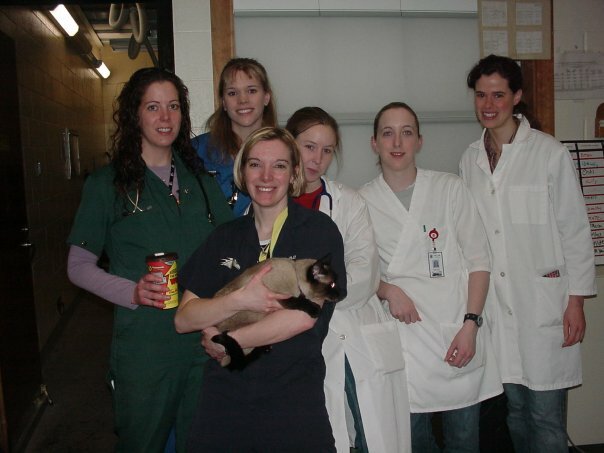 Here’s to WCVM’s class of 2005!